A review of American States Health Insurance Company finds that the company is actually named American States Insurance Company, and it does not offer health insurance coverage. American States Insurance Company is an insurance underwriting company affiliated with Safeco Insurance, which is a member of the Liberty Mutual Group. American States Insurance is headquartered in Indianapolis, Indiana, and licensed to do business in all 50 states. Don’t go away! We can still help you find the right health insurance rate for your needs. Just type in your zip code–it doesn’t get any simpler than that! 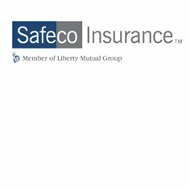 In addition, Safeco sells an insurance package where the company bundles together auto and homeowner policies for savings purposes. Safeco Insurance also has three Customer Care Centers and four regional Service Centers. The Customer Care centers handle all claims and other customer service issues. Safeco policyholders can call 800-332-3226 at any time of day, any day of the week, in order to file a claim. Once the claim is active, they can log into Safeco’s website to check the status of it at any time. When members sign up online, they also get online access to other aspects of their account, including paying their bills, viewing their policy documents, printing new insurance ID cards, and updating their contact information. Whether filing a claim for an auto accident, damage from a tornado, broken home windows, or workers compensation, all Safeco customers should first call the 800 number and speak to an agent. It is always a good idea to have as much information as possible so that you can provide the claims agent with everything he or she needs to start processing your claim. For an auto accident, that includes when, where, and how the accident occurred; the type of vehicle(s) involved, a description of damages; names and contact information of the other people involved, as well as any witnesses; and a description of any injuries. If your house or property is damaged, you will need to tell them what happened and when; the location of the damage; the condition of your home and whether you can still live there; and if temporary repairs are needed. Safeco offers insurance coverage for natural disasters such as tornadoes, wildfires, earthquakes, hail, and hurricanes. The insurance company stresses that all policyholders reporting damage or problems caused by a natural disaster should FIRST get themselves to safety. Safeco promises that its claims representatives will follow up within eight business hours of your initial call. American States Insurance Company, as well as Safeco Insurance, utilizes a network of independent agents to service members. The company believes its best to have local agents helping meet the individual needs of its policyholders, independent agents who are involved in the community at a local level. Additionally, the company says on its website that independent agents are more committed to helping customers save money, since they have a wider range of insurance companies and products from which to choose. Safeco offers its independent brokers and agents a single-service platform that covers sales, claims, customer service, and cutting-edge technology. It also has an online new-business portal called “Safeco Now” that aids agents in quoting, signing, and servicing products in just minutes. Safeco assigns all of its agents a Territory Manager, who helps the agents maximize their income. American States Insurance Company has received an “A” rating from A.M. Best. This is an “Excellent” financial strength rating. It also received an “a” for issuer credit rating. American States Insurance Company is considered a “pooled” company along with the other Safeco underwriters. The group has a stable outlook. J.D. Power and Associates has recently given recognition to Safeco’s insurance claim centers for “An Outstanding Customer Service Experience.” The company recognized all four of Safeco’s claim centers for the distinction, which also includes a random survey of Safeco customers. Keep yourself and your loved ones safe by getting health insurance. Fill in your zip code to find health insurance quotes that fit your needs, and your budget.